Agencies often don’t have their sales process steps mapped out, this is aimed at those folks! Getting customers for your clients is something you’re good at. Consistently acquiring clients yourself can be challenging when you are focused on client work, not to mention you don’t have your sales process steps defined. 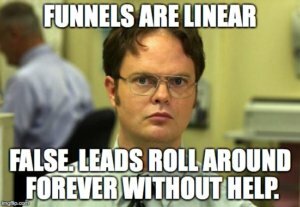 You may have noticed that businesses in your funnel seem to dance around and it looks like leads aren’t going in a very clear pattern. No, the problem isn’t (necessarily) your content or the leads. Nowadays, people like to simmer on things for a while. Go back and forth, download several resources, and move around until they are extremely comfortable. But that doesn’t help your marketing agency grow. To get around this issue, you have to provoke leads in your pipeline down the path toward sales—starting from the very beginning with clearly defined sales process steps. Connect: Finding the right leads and getting them to respond. Qualify: Making sure they’re in the right place and the right time. Close: Getting them to say yes to your stuff. Deliver: Having a process to continue the relationship. Connecting is all about getting the right people who either don’t know you at all or know you a little bit to speak with you (or a rep). There are two ways to do this — prospect cold leads (outbound and/or inbound). I know it seems like we’re biased, but we really do love both. Our specialty is helping people warm up cold leads via email, but we also publish a ton of long-form content, resources, and have some decent-sized inbound-esque plans for the future. Too many people are either one or the other. But the growth that can be achieved through a combined strategy is mind-boggling. So, if you’re all inbound and haven’t considered outbound — it could be why you want to read this post. That said, we are going to be concentrating on outbound sales. Connecting starts with you, not picking up the phone. 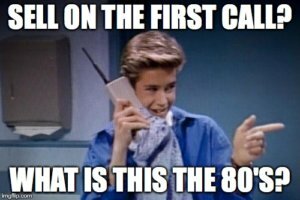 We’re not firmly in the “cold calling isn’t dead” side of that battle, but you have to define it right for it to work. There are plenty of ways to generate leads without cold calling . Inbound usually attracts via resources, blogs, etc. Then, reps look at personas to make sure they are a good fit. Outbound starts with the ideal buyer in mind before your leads even know you’re coming. Targeting the leads you’d like to become clients can dramatically hone your marketing resources while simultaneously reducing the sales cycle steps needed. Look at Your (current) Clients: Before you send your first ever cold email, you’ll need an idea of who you’re going after. The best way to find them is by looking at your current client roster. Who’s your favorite type of account? Why? What do they all have in common (e.g. revenue, number of employees, industry)? Use that to develop a target lead. Develop Your Pitch: You can’t just ask them if they wanna buy your stuff. It’s more of a matter of selling what they want to achieve and then establishing yourself as the service or agency that can bring in those results. That’s going to take a little content marketing (e.g. white paper, webinar, other resource). Send them something that’s valuable and they’ll be more likely to reciprocate. Automate the Process: Believe it or not, your entire cold outreach strategy can be automated. From finding the leads that fit your prospect profile to sending out multiple emails to those leads and even stopping the sequence when a lead responds to an email. It can all be low-touch, allowing you to concentrate on gaining and servicing the account. What You’re After: The connect stage transitions into the next when a lead actually responds to your outreach efforts. Meaning they email you back or answer the phone. They’ll move to qualifying or just tell you to leave them alone — either way is better fine. Qualifying the leads in your pipeline means something completely different in outbound lead gen.
Inbound (usually) qualifies the lead based on buyer profiles and leads interact with the brand (e.g. content engagement, call-to-actions, etc.) Outbound goes from unaware to connecting (getting a response from your outreach) as fast as possible. 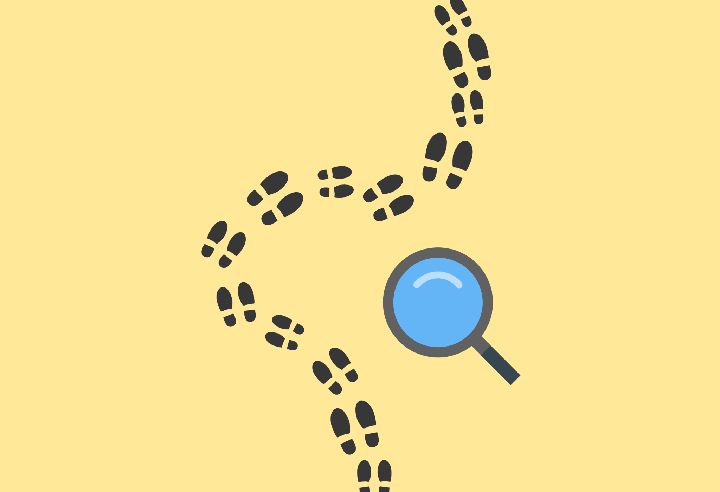 Once you connect with a lead, you want to see if they’re a fit for your services (a.k.a. qualify them) which will usually take place via phone call. There are questions that need to be answered before you try to close. And you find out the answers to those by asking leads some questions that extract the data you need before you try to close. We have a post for this, too (if you want to check it out) but we’ll go over the basics of what you need to find out. Make Sure the Pain’s There: Some of your questions have to be if the pain is significant to the contact that makes the decisions. For instance, if you’re selling review management to restaurants, the owner has to hate their Yelp! reviews. If they’re happy with their reputation, it’s not going to work out in your favor. Make Sure the Motivation is There: Ask things about how satisfied they are with current providers. Or, you could make it about their growth and see how hungry they are for better marketing. Make Sure the Time is Right: Talking turkey needs to happen before a sales call. Here, you want to find out how much they’re currently wasting spending on their marketing. Most companies in the right revenue range (not too small or big) have a big ad spend, but aren’t getting any metrics to track results — making them an easier sell. What You’re After: Once a lead is qualified, you want to schedule a call to lay out your marketing strategy that is a bit more tailored to this lead (not that you know them a bit better). Don’t sell on this call. Get them excited to hear about the results they can achieve. Hopefully, you’re on a call with a genuine prospect that has quickly went from unaware lead to ready to buy. If that’s the case, you’re ready to paint a picture of the results and the process that you will use to bring them about. This is when you’re going to fight the battle of objections. This is when you’ll ask for their business. Wouldn’t you know it, we have a post about this too (told you we like inbound). Sell Results, Not Services: You’re not trying to tell leads about how awesome you are at PPC. But you are trying to tell them exactly how you’ll increase their results (and using PPC may be a big part of that, but it’s not what they’re buying). Overcome Objections: Better knowing the leads you’re going to reach out to is going to help you understand the specific objections of both the specific industry and role you’re dealing with. It’s like having a cheat sheet for the test. Ask for the Deal: Once you’ve gotten any hangups, it’s time to ask if they want the results you know you can provide. It’s actually a good idea to ask leads to give you a definitive yes or no at the end of the call before you even start your presentation (e.g. Once I give you the strategy for your business, will you give me a straight answer?). What You’re After: I think you know the answer to this one. You’re after the sale, but you’ll likely still get a maybe from more than a few leads. Don’t give up on them completely. 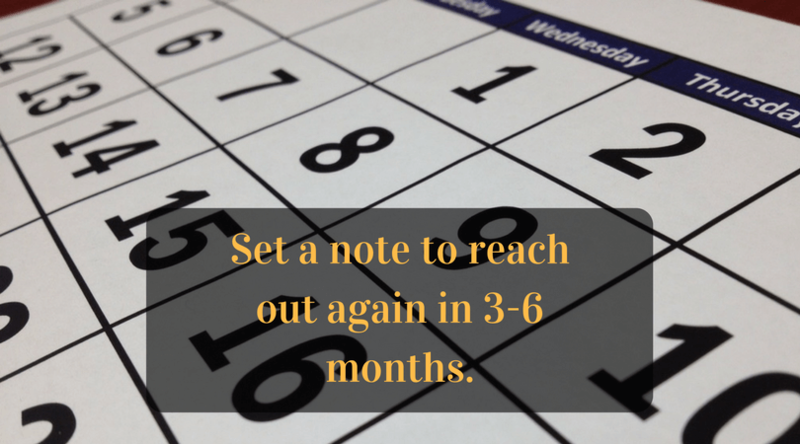 Set a note to reach out again in 3-6 months. Once you have the sale, the work begins. You start delivering on what you promised is what you do. That said, there are several things that could help or improve the mood of your new clients even more. You want their business for as long as possible, but there’s more to it than just giving them what they ordered. Communicate Via Drip: Agencies do a lot of stuff. Many of the services you provide may not be included in your original offer to clients, but they could still use them. Send them a steady stream of emails that offer value and talk about some of the other things you do. Ask for a Referral: When the relationship is new and your clients start seeing the results is a great time to ask for a referral. The post above is almost entirely about setting up a program that will give you a steady flow of new business. Do a Good Job: You can sell, talk, and ask without performing. It’s always a good idea to ask yourself honestly whether or not you’re doing a good job for your clients. Call them up and ask them after a little while. Set up metrics to prove to yourself and accounts that things are moving forward. What You’re After: Delivering a good result is about doing the right thing and getting the most out of each account. The goal is to increase the lifetime value of clients and get referrals — all of which help you grow. One of the coolest things about this process is that it can be added to the way you get clients already. Running ads, traffic and any other methods don’t have to be stopped to give this process a shot. Do you use any of these sales process steps for your business? We’d love to hear about how you are gaining clients. We’re going to probably agree on the steps but not the order. Qualify before connect is sorta the way we do it. We make sure we are targeting the correct people to connect with so they have a reasonable chance of being qualified. Awesome! Yeah, it’s always a good idea to keep an eye on those indicators and everyone’s best way won’t look the same. Curious, do you ask any qualifying questions after the contact? Sometimes timing, satisfaction with the current solution, etc. keep you from pitching? Neither – we don’t think that anyone should ever waste time pitching to someone that’s not qualified.